Certified organic fruit since 1993. 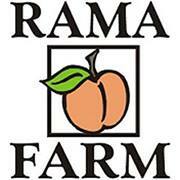 Rama Farm is a family owned and managed organic farm in Bridgeport, Washington. Creating a profitable livelihood benefitting people and the planet since 1991. Alpacas for on-farm nutrient management, honey bees and pollinator beds, and 80% of farm left in natural shrub steppe environment. selling directly to our customers at Seattle farmers markets.